I have often been asked what I do now that I am out of school, and my response is that I have been working for Calgary Scientific. In case you are not aware, CS is a software development company, with applications based mainly in the healthcare industry. Most of my work as a software developer has been on the HTML5 client, with some bits and pieces of work on our iOS app. Other teams take up the server-side work, though I too have worked here. Of all the things to build and compile, everyone knows the server takes the longest. While our clients build in less than five minutes, changes in the server can cause us developers to wait for up to forty-five minutes for builds. There were talks about reducing this time, but I personally never saw this as a big issue. It sure is a long time, but I am quite accustomed to waiting for even longer. At my internship, the C++ code could take upwards of two hours to build. This is not even the worse, considering I have heard these times of larger corporations can be much longer. So in relation, the builds I wait for now are quite low in time. However, I really wonder to what extent we should go to optimize our builds before we are really satisfied with the time it takes. Today we have another sort of optimization, except instead of build times, we have size. With the growing popularity of small form factor builds, units like today's SilverStone SX800-LTI 800W are increasing in demand. Considering this small fry can dish out a whopping 800W and maintain an 80 Plus Titanium efficiency, I have to wonder how these constraints of size are kept. Today's look at this SX800-LTI 800W may not answer all our questions, but it will give us a better idea, so read on to find out! 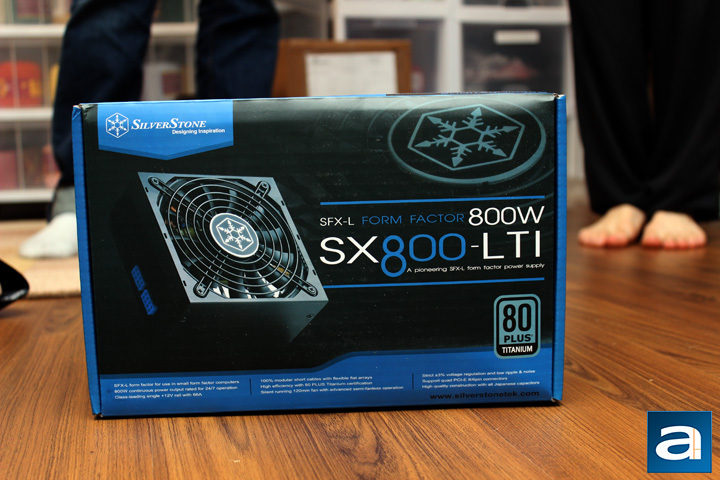 Today's unit of the SilverStone SX800-LTI 800W arrived from our friends down in Chino, California, where SilverStone's head offices are. 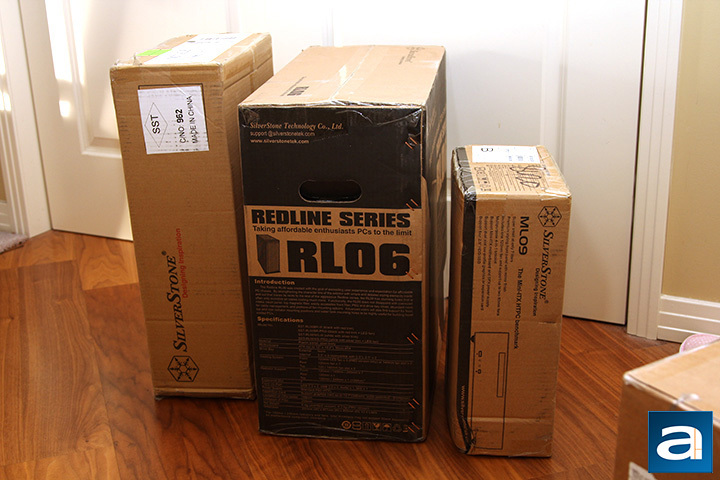 Traveling via UPS Standard ground service, our products arrived in relatively good condition without any issues. There were a few dents in some of the boxes, but I am sure you have already heard of these from our past SilverStone reviews and reports. In fact, we are on product four of five, as the last product we will be looking at from this package is their LED lighting kit. Fellow editor Hai Wang will be taking a closer look at it in the coming week or two. If you saw our report of the SilverStone SX700-LPT 700W, you will notice the SX800-LTI looks pretty similar, at least in retail box design. Other than the obvious differences like the name of the product, the picture of the item on the front panel, and the color schemes, the two boxes are almost the same. Otherwise, there are some features on the bottom of the front side, with more features listed on the back, in multiple languages. The sides also list some more features and the connectors you can find inside. You might be wondering why you can see my colleagues Ben Joubert and Jonathan Kwan's feet in the photo. Some say something is afoot, and others have just put a sock in it, but all I know is that I have a leg up on the jokers above, as only I get to actually look at this product, so let us open up this box. Out of the box, there is a standard set of accessories included with the SilverStone SX800-LTI 800W. The power supply itself is found in a plastic bag held between two foam brackets to prevent any damage to the unit during transport. Two pieces of documentation are held in a plastic bag, and this includes installation, warranty, and technical information. 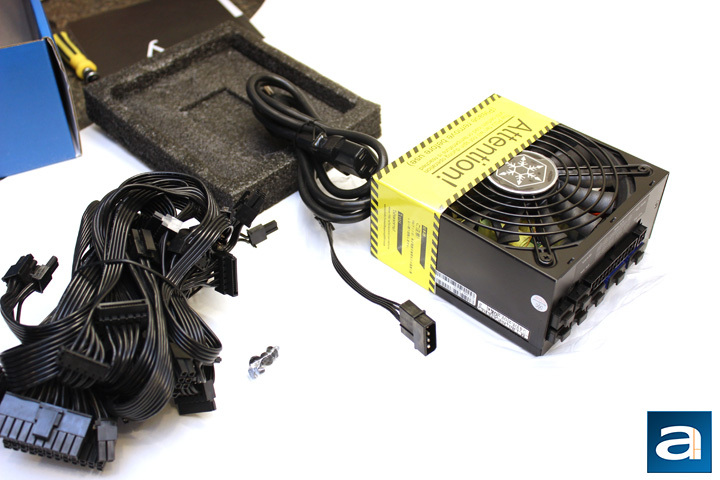 As this is a modular power supply, we can find all the cables in a separate cardboard box. This includes an AC power cable and all the connectors to the computer components. Unfortunately, there is no SFX to ATX bracket, which is odd considering the much cheaper ST45SF V3.0 450W has it. I know they sell their own bracket separately, but considering how much you pay for this unit and the power it can pump out, a bracket should be included, no questions asked.